Subcontract more courier loads with our massive virtual fleet, available across the UK and Europe. Extend your reach and cultivate more business with advanced, professional freight exchange management tools. We are the UK’s most trusted trade-only platform. 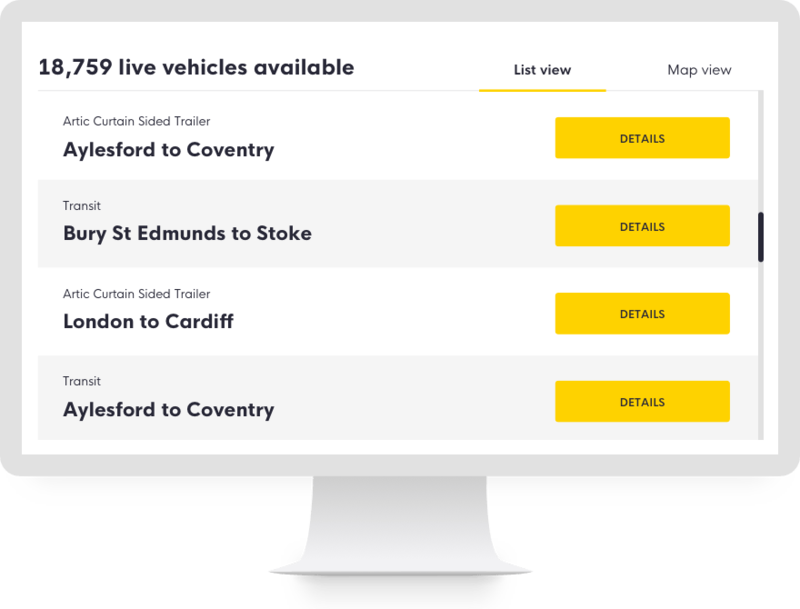 Find drivers quickly for your loads with our simple and secure posting system. Stay in the loop at all times, no matter who is working for you, with real-time load status monitoring and reporting. Easily set up priority alerts, to you or direct to your customer, so that you’re always ahead of the game. Get real-time ETA reports and access to our unique ‘Replay’ tool to get a complete load report, from collection to POD, with a single click. Want to show where that load was at 9:25am this morning? The answer is at your fingertips. Quickly and easily manage all your quotes. Filter, manage and respond to quotes in no time. Cut down on costly phone time with our powerful business tools. Easily find new trading partners and build lasting relationships. Grow your network quickly and safely with access to over 6,000 like-minded businesses. Easily keep track of all your work, vehicles and partners. The 2-Way diary simplifies the administration involved when dealing with high quantities of work. It gives smaller companies accurate reporting on their order book and outstanding loads. Search for real-time availability for the vehicles you need with our powerful filters. Get access to the largest community of independent owner drivers and accredited courier companies. Never lose track of your bookings and deliveries. Get real-time updates and reports wherever you are. The Exchange's virtual fleet has helped me win more business. For instance, I recently won a large contract with a major hospital supplier. Without the Exchange, however, I wouldn't have landed the work. Get visibility over the status of your freight operations anytime and anywhere. Available vehicles, from small vans to specialised services. Value of courier work each year shared by members. We don't take any commission. Talk to us! On the phone, online or in person... we're here to help.